Thursday 25 & Friday 26 may 2017. DO LAB 1 : EXPRESS YOURSELF ! - MakeSense Room : Sustainable City or World City ? - Participative budgets : a weapon in the fight for the future of European Democracy ? - Data basic income : what’s the value of our data? ALGORITHMS & BIG DATA : IN SUPPORT OF A DEMOCRATIC DIGITAL UNIVERSE ! YOUNG PEOPLE BUILDING TOMORROW’S EUROPE ! JUSTICE FOR FUTURE GENERATIONS ! 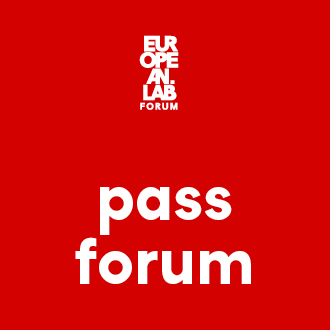 European Lab forum pass Includes the 3 days of public conferences — €45*, unique rate. • Accessible to all, access to the inauguration, all the conferences, the "Do Lab" workshops, networking tools and the pro goodies. We recommend you arrive as soon as doors open to avoid waiting in line. Avoid printing this ticket, download it on your cellphone! All main European Lab formum venues are accessible to people with handicaps. Please make yourself known at the welcome point.